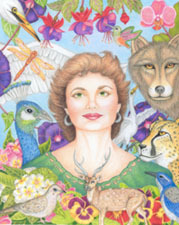 California Artist and Art Teacher Therese welcomes you to her web site, ArtbyTherese.com. 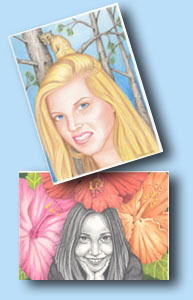 Here you will see examples of Therese’s portraits in graphite and colored pencil; learn about her art lessons for all ages; and see samples of her illustration work. Therese has been creating artwork all her life, and for the past twenty years has been helping others to uncover their own creative abilities through art classes, workshops and private lessons. 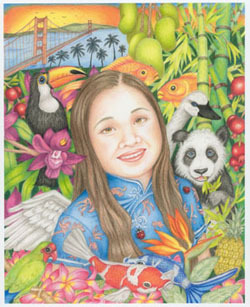 She specializes in teaching people to draw by accessing the right side of the brain – the creative, visual, intuitive hemisphere and in colored pencil. 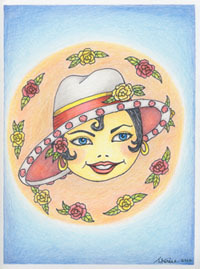 Her artwork can be found in galleries and shops in the San Diego area, and in art collections around the world. Therese also trains other artists in how to create their own business teaching art. 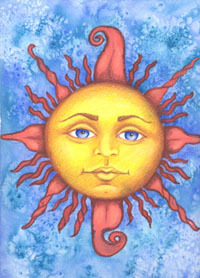 Coming Soon, www.DancingPeacockProductions.com a source for all your creative educational needs. to see current artworks and get art news. "Power Portrait", "The Nina Lisa"